Stove, refrigerator and air conditioning are furnished in all units. Some two bedroom units also have dishwashers, microwaves and connections for your own washer and dryer. Quick access to Leinbach Center, apartment lounges, laundry facilities, mailboxes and neighboring apartments. All are connected by indoor, carpeted hallways. The entire complex is on ground level, no stairs or elevators with which to contend. 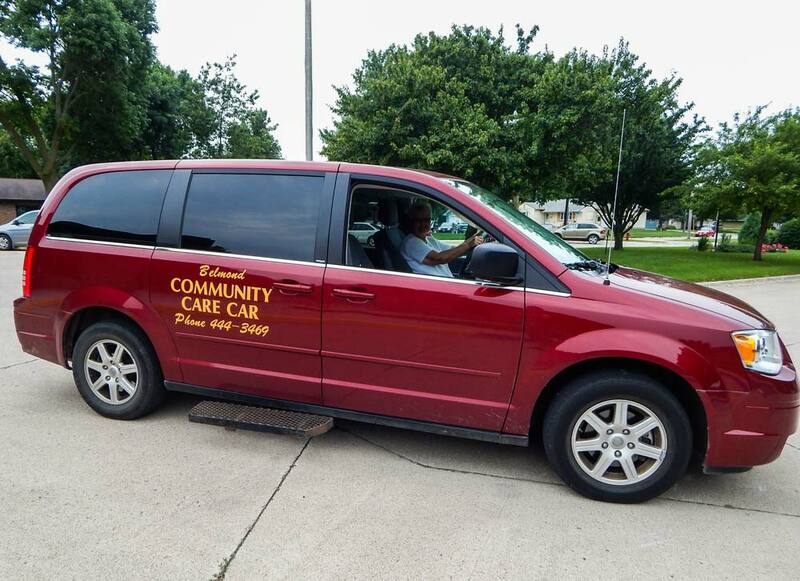 “Taxi” service available for senior citizens of Belmond city limits. This van runs Monday through Friday, 9:00 a.m. to 4:00 p.m. Suggested fee is $2.00 round trip. Belmond Community Apartments has a computer room open to all tenants to use at their convenience. This has proved to be a great asset for our tenants and also their guest. 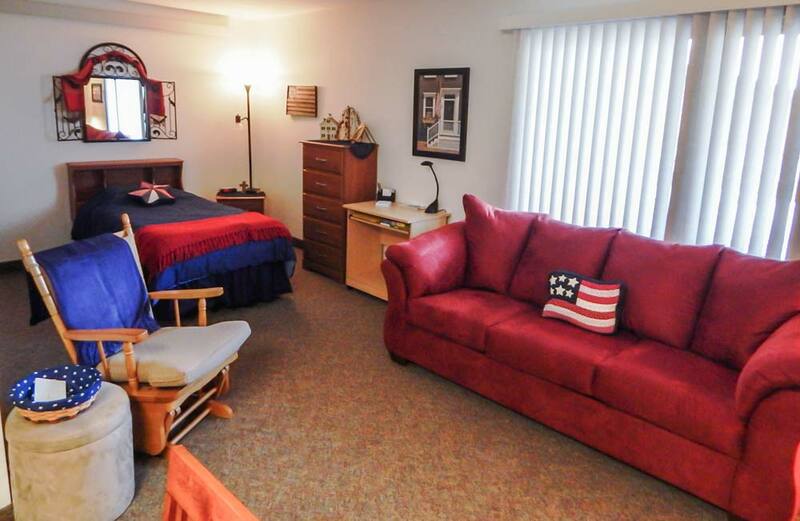 Tenant's guests can also stay in a fully furnished apartment when they come to town to visit. There are many amenities (refrigerator, microwave, coffee pot, etc.) 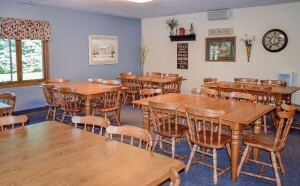 in each hospitality room which can be reserved by calling the office at (641) 444-3066. These meals are served at 11:00 a.m., Monday through Friday at tenant option and tenant expense, with a nominal suggested fee. For more information call Kim Thayer @ (515) 408-2628. Groceries and pharmaceutical items can be delivered. 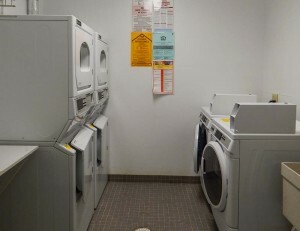 There are two laundry room locations with coin-operated washers and dryers in each. 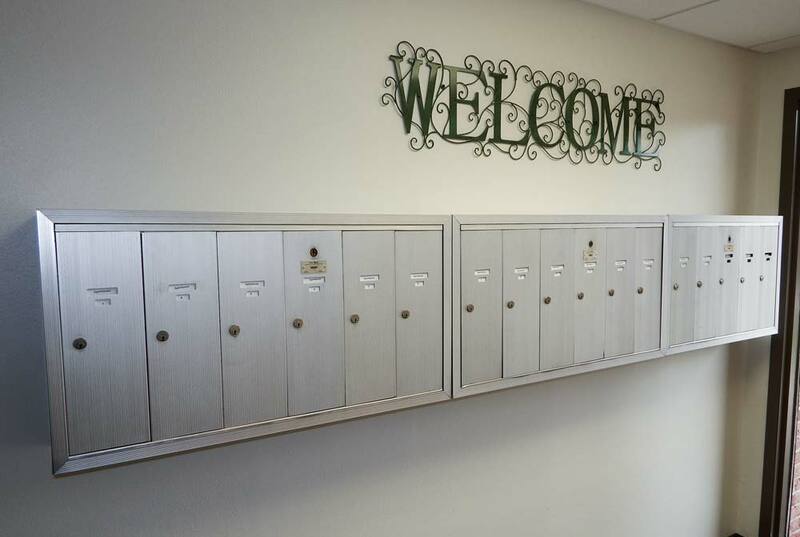 The mailboxes are all indoors, with individual locked boxes. Apartment maintenance includes the following: plumbing, electrical, general repairs and grounds, including lawn mowing and snow removal. There is a manager and custodial staff on site, Monday through Friday, 8:00 a.m. to 4:30 p.m. 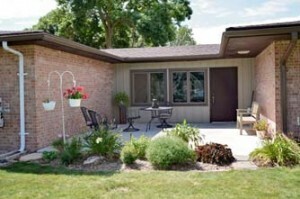 Located throughout the complex are outdoor patio areas, furnished with patio furniture, where tenants can enjoy the beauty of the changing seasons of Iowa. In conjunction with Wright County Public Health, there is a mini health assessment clinic held on the 3rd Thursday of every other month. Also available at this clinic is the care and clipping of toenails. Each complex has its own lounge area where tenants can gather to socialize, play games or work on puzzles. or access to, or treatment or employment in its federally assisted programs and activities.